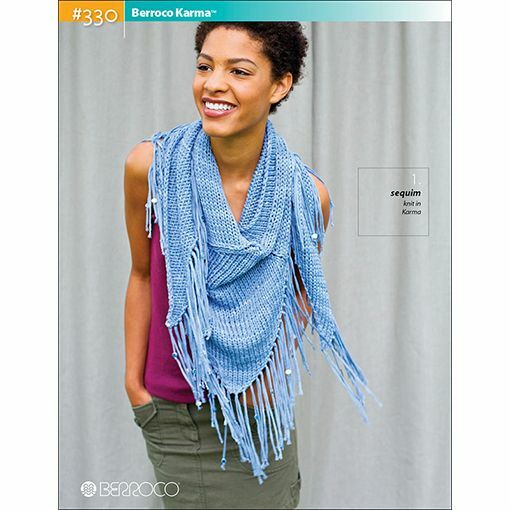 Playful construction and bulky weight Berroco Karma make these six patterns a must have. 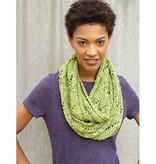 With garments and accessories in this collection, you can cast on a project Friday and be wearing it Sunday. 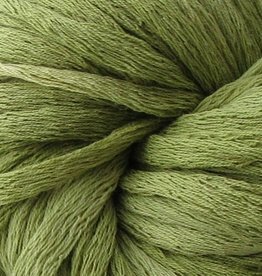 Karma is considered a bulky weight 100% cotton tape yarn that achieves great stitch definition and is available in a range of delightful tonal colors. Berroco Karma is a machine washable, bulky cotton tape yarn available in softly shaded hues. The mesh-like quality of Karma gives the fabric an airy feeling.